All clinicians should prescribe generic medications whenever possible as a way to improve adherence to therapy and clinical outcomes while containing costs, the American College of Physicians (ACP) advises in a paper published November 24th 2015 in Annals of Internal Medicine. In the paper, ACP looked at how often brand name drugs are used when generic versions are available, how the use of generics influences adherence, whether brand names and generics have similar clinical effects, the barriers to increasing the use of generics, and strategies that can be used to promote greater use of generics. A study of Medicare beneficiaries with diabetes found that the use of brand name drugs for which identical generics are available accounted for 23% to 45% of prescriptions, depending on the class. The study authors estimated that Medicare could save $1.4 billion for patients with diabetes alone by combing generic substitution and therapeutic interchange (dispensing medications that are chemically different but therapeutically similar). The greater use of generic drugs could motivate better long-term adherence to essential therapies. Higher out-of-pocket costs for patients have consistently been associated with lower rates of long-term medication adherence. Prescriptions for branded drugs are almost twice as likely to be “abandoned” (i.e., never picked up after being filled) than generics. The vast majority of the peer-reviewed evidence has found that generic drugs are as effective as their branded counterparts regarding clinical outcomes. In contrast to the data for other therapeutic classes, some evidence suggests a lack of equivalence of brand and generic ophthalmic agents. “ACP recognizes that there are situations where generic substitution is not possible and the use of brand name drugs is clinically appropriate,” Dr. Riley said. Some of the underuse of generic medications is likely the result of patient and physician perceptions about the safety and a perceived lack of efficacy of the lower cost options. 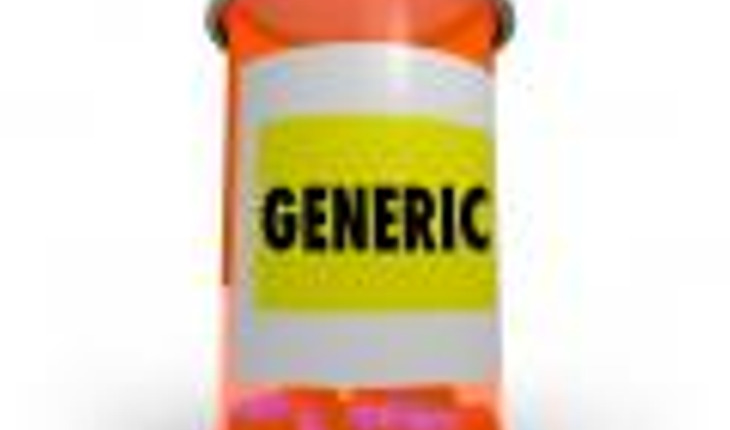 Patients may also associate the lower price of generics with lower levels of effectiveness. Differences in the physical appearance of generics and their brand name counterparts might also cause confusion among patient. Variations in pill appearance have been associated with higher rates of non-adherence. To promote greater generic medication use, adoption of electronic medical records could support generic prescribing through the notification of the formulary status of prescribed medications. Use of interactive forms of continuing medical education, such as academic detailing, are effective methods of changing physician behavior, and therefore could promote generic prescribing. When combined with academic detailing, a randomized trial that provided vouchers to physicians for use by their patients switching to or initiating a generic found a statistically significant 2% increase in generic prescribing as compared to academic detailing alone. Because the receipt of branded drug samples appears to be associated with the greater prescribing of brand name products, providing physicians with free samples of generics to provide to their patients could increase the use of generic medications. Public awareness and advertising campaigns similar to those used for brand name drugs might help to alter patient perceptions about generics. Policy levers, like tiered formularies, have been the most effective strategies for driving patients to adopt generics, but current copayment differentials between generic and brand name medications may not be sufficient to motivate generic drug use by some patients.